It is no secret that eating lunch at work can be a hassle. 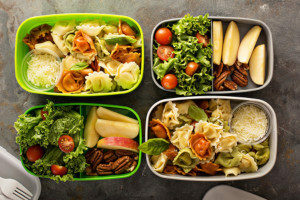 Carrying a lunchbox around all day adds one more item to your list of things to remember, walking to a nearby restaurant and waiting for your food to be prepared uses up your valuable lunch time, and ordering delivery eats up a significant part of your paycheck and your daily calorie allotment. If you are sick of lugging yet another thing to and from work and you would rather be saving for a vacation than tipping for delivery, bento lunch boxes for adults can be a smart investment. 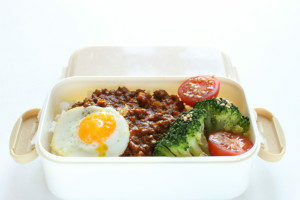 While traditionally used by Japanese schoolchildren, bento lunch boxes are increasing in popularity among the members of the professional crowd. By substituting the frills and fancy presentation of the traditional Japanese bento lunch box for functionality and sleek features, bento lunch box manufacturers are revolutionizing lunch in the workplace. A common problem facing adults today is the normalization of disproportionately large servings of food. Some restaurants serve double the amount of food that the average adult should eat, which causes one of two problems. When served an unnecessarily large helping of food, you will either over-consume or waste food. A USDA study shows that on average, adults eat 134 more calories when they eat food from restaurants than when they eat food from home. Over the course of a year, this caloric bonus turns into an approximate weight gain of 2 pounds, which can add up over the course of decades. A bento lunch box allows you to eat food from home and guides you to pack the correct portions. One of the stand-out features of the modern bento lunch box is the compartmentalized layout. While traditional Japanese bento boxes are comprised of tightly packed food arranged into different sections, modernized bento lunch boxes for adults take the guesswork out of the equation with pre-portioned sections. You can often modify these sections with customizable dividers so that your box is suited to your dietary needs. Nothing tastes better than the first bite of a restaurant-prepared meal, but nothing hurts more than checking your credit card statement and seeing your newly-deposited paycheck shrink. However, for the cost of one or two meals at a restaurant, you could be well on your way to keeping your paycheck where it belongs – in your bank account. With an insulated bento lunch box, your food will stay at the perfect temperature throughout your workday so you can have the restaurant experience for a fraction of the price. Have you ever wondered how many sandwich bags and snack wrappers you contribute to your local landfill every year? The answer is probably “too many to count.” However, using a bento lunch box can change that answer to a more manageable number. The same bento lunch box compartments that aid with portion control are also helpful when it comes to cutting down on how much reusable packaging you consume. Instead of discarding all of the wrappers from a box of granola bars, you can make your own granola bars and cut down on the amount of processed food you consume and prevent the generation of excessive waste at the same time. If you have not jumped on the meal-prepping bandwagon yet, investing in a set of bento lunch boxes for adults is the perfect way to get your feet wet. Many of the bento boxes on the market now are both freezer and microwave safe, making them ideal for busy professionals to grab and go. Some boxes, especially the Kangovou Flat Plate, feature a slim design, which makes them perfect for stacking in even the most crowded freezer. There are several things in this world that are absolutely undeniable facts. The sky is blue. Birds can fly. And, no one enjoys washing dishes by hand. Luckily, most bento boxes can be disassembled and safely washed in you dishwasher with the rest of your dishes, so you can save time for the things you actually enjoy. If you are ready to take the plunge and invest in a bento lunch box, visit Kangovou.com to explore a wide variety of bento lunch boxes to find one that will seamlessly integrate with your daily routine. Kangovou offers a multitude of different sizes and styles of bento lunch boxes for adults in addition to other BPA free and dishwasher safe products. Contact Kangovou or shop online today to have peace of mind knowing your lunch will be kept in the safest and most convenient containers!